Your chiller needs to be inspected and maintained regularly. Chillers are likely not on the top of facility managers' minds during cold months. But just because they may not be in use doesn't mean you shouldn't give them some attention during the winter season. In fact, this extended period of time when chillers are not a critical component of your building's HVAC efforts is the perfect opportunity to address any maintenance concerns. Of the many components of a chiller, the tubes are one of the most impactful in terms of overall energy efficiency, according to The NEWS. Chiller tubes and coils can become dirty or coated with scale over time, which decreases their heat transfer capabilities. As a condenser's heat transfer ability goes down, its energy consumption goes up – sometimes by 30 percent or more, according to the U.S. Department of Energy. A well-maintained system, therefore, can save energy and money. If your condenser was struggling to reach a full refrigeration load or was reaching higher pressures than expected, it's likely you have buildup that's increasing your energy spend. An initial water cleanse is a good step toward cleaner tubes, but it shouldn't be your only means to achieve greater energy efficiency. There will likely still be scaling left clinging to the tube walls after the cleanse is finished, especially considering that most chiller tubes have ridges in them. A rotary tube cleaner, which includes a brush that rotates to get into those grooves, can help immensely. 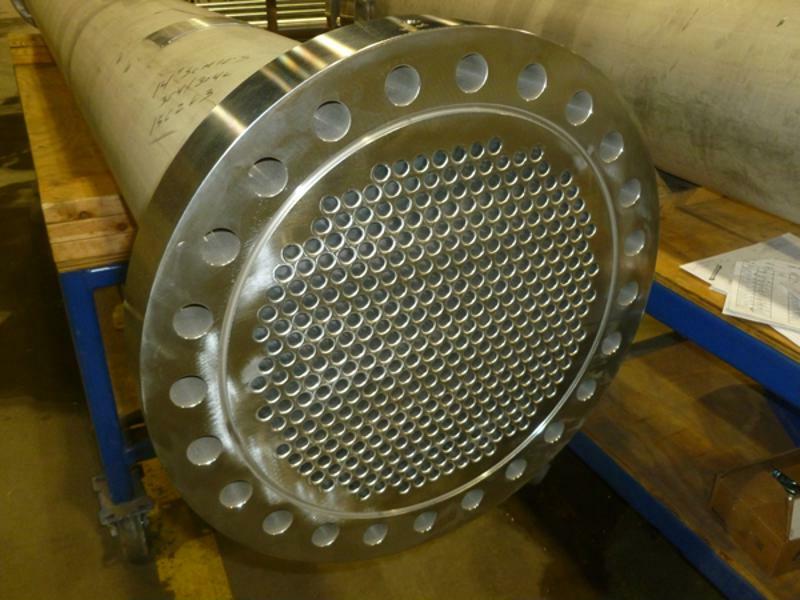 Newer models of rotary tube cleaning systems also allow you to add antimicrobials and corrosion inhibitors onto the surface of the tubes to minimize future scaling, Facility Executive explained. Fouled tubes can decrease chiller efficiency substantially. Choose the brush you use with the rotary tube cleaner carefully, as different models are designed to clean specific types of fouling. There's a big difference between removing softer fouling like algae and mud compared to tougher scaling and mineral deposits. You may also consider using chemical descalers to tackle more difficult forms of buildup like calcium, rust and lime. However, before you choose chemicals to insert into your tubes, make sure they're compatible with the equipment's materials of construction. If your tubes were fabricated with an alloy that's highly resistant to corrosion, such as stainless steel, this may be less of a concern. Cleaning your tubes should be at least an annual or biannual task, and doing so during the colder months can give you ample time to address any issues before the weather warms up again. Many chillers go through eddy current testing after fabrication and installation to test for any damage that may have occurred before the unit is fully operational, Process Cooling explained. It's also a good method to test for issues that may arise during the lifetime of the chiller. An eddy current test may be able to detect small defects that can lead to leaks, but it shouldn't be confused with an actual leak test, Texas Eddy Current explained. An eddy current test, sometimes called a magnetic field test, can highlight corrosion, erosion, mechanical damage and more. It can also indicate whether your tube walls have lost thickness over the years, Facilities Net reported. To conduct this test, a metal probe that creates a full-circle magnetic field is inserted into the tube. As the tester moves the probe through the tube, the magnetic field will either remain stable or show signs of a disturbance. Those signals indicate an issue at that location. You don't necessarily need to do an eddy current test each time you clean your tubes. Once every two or three years for your chiller or three to five years for your evaporator should be sufficient. The quality of the water that enters and flows from your chiller plays a big role in determining how often your tubes need to be cleaned. When you know the water quality in your area, you can take proactive measures to prevent scaling and fouling in your tubes. "When you know the water quality in your area, you can take proactive measures to prevent scaling." Closed-loop systems, which are most common in chillers, generally require a one-time chemical treatment to reduce the risk of fouling. If you have an open-loop system, which may be found in condenser systems or atmospheric cooling towers, you'll likely need to arrange for continuous chemical treatment. In any case, water treatment should be tailored to the unique qualities of the local water source. A water treatment specialist in your area is the best resource to consult. Though keeping the risk of fouling at a minimum may be your highest priority, you should also keep in mind other conditions of the water, such as the temperature and flow rate, Contractor Business explained. Colder water is generally more efficient to use in chillers. In fact, if your chiller isn't running optimally and you aren't prepared to clean the tubes just yet, lowering the temperature may be a good temporary solution for improving efficiency. Don't mistake this as a long-term fix, though – if you're looking for sustained improvement, it's critical to remove scale and other buildup in the tubes. The flow rate should generally be between 3 and 12 feet per second. Fall below this range and you'll get laminar flow that reduces the efficiency of the chiller. Higher flow rates can cause the equipment to vibrate and shake, and increases the risk of damage to the tubes. Setting aside enough time to conduct thorough chiller inspections and maintenance is a great first step toward lasting energy efficiency, but it's important to plan for the future, too. Every system is different, so you should create a plan to keep your unit running well for years to come. Creating a daily operating log will help you visualize small day-to-day changes in the chiller's performance, which will indicate how often you should repeat the cleaning process. It will also clue you into small issues that occur. Identifying and addressing these before they escalate into larger problems can help you maintain a functioning chiller for longer. In time, you may start to notice patterns in your chiller's performance. This will help you create a schedule for inspections and maintenance. Every chiller will be replaced sooner or later. Though these units can generally be relied upon for several decades, they'll eventually become more costly to maintain than it would be to install a newer, more updated model. If your chiller is presenting frequent issues and is close to 25 or 30 years old, it's likely ready to be retired, Facilities Net explained. When choosing your next model, seek out a manufacturer that can provide reliable, high-quality equipment. The engineers at Enerquip are here to help identify shell and tube requirements for a wide range of assets, including chillers. Reach out to get a quote using our online form.